In the latest installment of Solid Gold Jams, we’ve asked Bob Skeleton to pick 5 of their favourite songs from the West of Ireland. Bob Skeleton have proven themselves to be among the most prolific independent bands in Ireland, releasing 3 EPs since November of last year. 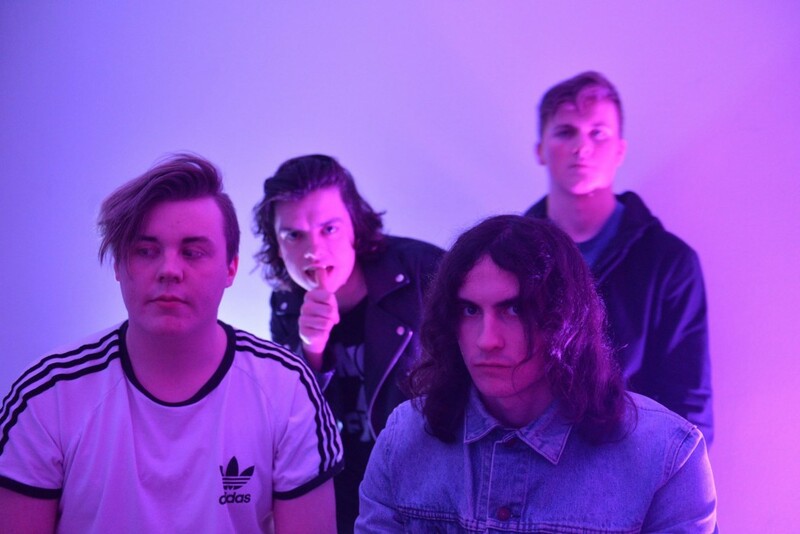 Their most recent release, Boiling Point, finds the 4-piece in more chilled out surfy territory while keeping their powerful, rolling indie rock spine. Read on for some choice cuts of music from the West, the boys have great taste…. Steve’s gotta be one of the best live performers in the country. Either solo or with The Broke Straight boys (who are also super tight) you know you’re going to get everything that makes a good live gig. He’s a great, hilarious storyteller with songs that do the same. The crowd hang off every word and he can have them welling up or crying laughing and back to welling up within seconds of each other. We’ve gone for this mainly because it’s just so fun and tends to be a highlight of Steve’s set. Definitely go see him if you haven’t already. I remember when this EP came out and it’s just so unique in terms of Galway bands. There’s nobody really making music like Drown in the West of Ireland, or if there is someone needs to tell me. We’ve played a couple of gigs with Drown at this stage and they’re all super sound as well as being top musicians. I can’t remember who first played Descent for me but it just leapt out. Although our respective sounds are different, from talking to Rob I get the idea that our attitudes and approaches towards the whole thing are quite similar which is pretty cool. Crude are proper juggernauts. They sound like it could all spontaneously combust at any second but they’re completely in control all the same. They’re insanely loud but it’s not just noise, it’s some type of brilliantly structured chaos. I find it hard to explain but they just sound great and like Drown it’s a very unique sound. They opened for us in Whelan’s towards the end of last year and they blew the roof off the place. It wasn’t til after that we found out their bass player Charlie is only in Leaving Cert which made it all the more impressive. It’s safe to assume once he has that out of the way that Crude will be decimating more rooftops around the place on a more regular basis. I remember the first time I saw Grounds for Invasion was at one of the Strange Brew Summer Shindigs. I spent half the set grooving and the other half trying to figure out all the tech stuff behind how Will loops layers and layers to create the sound live. I was kinda pissed so I didn’t make much progress on that unfortunately. Nevertheless I was very impressed. We’re super lucky to have worked with Will on our releases to date. Not only is he so on top of the actual recording and producing side of things but he has so many tips in terms of what to do away from the recording side that really helps us out and has helped us develop as a band. He’s just a top guy in general. It’s great to see so many great releases from Galway based artists with Will’s name on them. This is a bit of an outlier from the rest of the songs we’ve chosen but it’s just a class tune. We’ve been listening to quite a bit of BØRNS’ debut album recently and there’s a track on it called American Money that this reminds me of in terms of the sounds you hear. We’ve used the term ‘Midnight Pop’ in the past to try to articulate the sound we want. It’s kind of like conventional pop but through the eyes of someone wearing sunglasses past sunset, outside a neon lit tequila bar – And even though what we do is guitar orientated, in terms of feel this track falls into my own perception of what that sounds like, in the very best way possible. I simply want to say I am beginner to blogs and certainly liked you’re website. Almost certainly I’m want to bookmark your blog . You definitely have very good article content. Kudos for sharing your webpage. Thank you for sharing superb informations. Your site is very cool. I am impressed by the details that you have on this blog. It reveals how nicely you understand this subject. Bookmarked this web page, will come back for more articles. You, my friend, ROCK! I found simply the info I already searched everywhere and simply couldn’t come across. What a great site. I want to show my gratitude for your kindness for folks that must have assistance with this important concern. Your very own commitment to passing the message around appeared to be quite useful and has continuously permitted workers like me to attain their dreams. This valuable tips and hints denotes much to me and especially to my fellow workers. With thanks; from all of us. You could definitely see your expertise within the paintings you write. The sector hopes for even more passionate writers like you who aren’t afraid to say how they believe. All the time follow your heart. Simply desire to say your article is as astonishing. The clearness in your post is just great and i can assume you are an expert on this subject. Fine with your permission let me to grab your feed to keep updated with forthcoming post. Thanks a million and please continue the rewarding work.